What Euclid discovered 300 years before JC and what Fibonacci taught us in the 12th century is still present in the markets today. Although it is hard to believe, the markets are subject to an order and a natural harmony known as the golden ratio. And so they show day after day, hour after hour, minute after minute the graphics. Gold, oil, the dollar, the Dow Jones, any chart, whenever it is a liquid product, draws patterns that respect the proportions of Fibonacci. What the graph represents is nothing but the psychology of the mass. It was about this idea that Elliott built his famous theory. 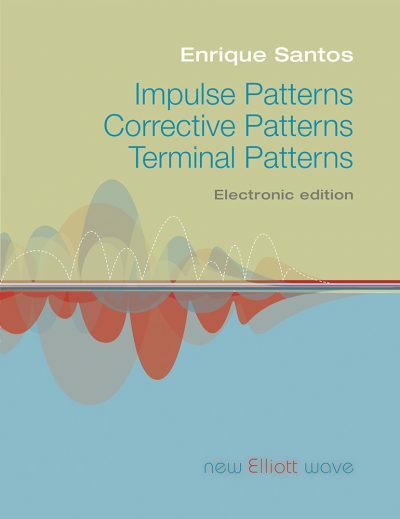 But we are not going to talk to him about psychology, or golden proportions in this book, but about a technique that will allow him to know the models of patterns that are repeated, both when there is a tendency (impulse pattern) and when it stops (corrective patternes), as when it is exhausted (terminal pattern). This work contains 352 real figures that represent the patterns of the figures that you will find in the graphics you see on your screen, and 17 practical cases in which each pattern is analyzed in detail. All of them are representative cases of the most repeated models.